I read today that Windows Update would not work with the beta version of Internet Explorer 8. I did want to check it out for myself before writing about it and went to the Windows Update website which greeted me with the error message "The site cannot continue because one or more of these Windows services is not running". The services mentioned were Automatic Updates, Event Log and Background Intelligent Transfer Service (BITS). No Password securer than a weak password? According to Digital Inspiration that's the case if you are using Windows XP because leaving the password blank makes it impossible to connect to the computer remotely. The link given in the article which points to the Password Strength & Password Security page at Microsoft.com is unfortunately not available at this point. 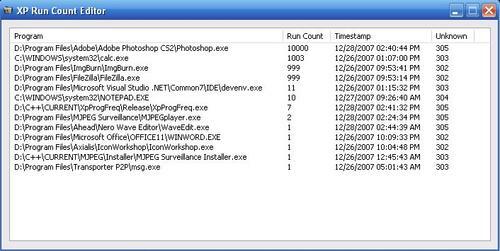 Windows XP keeps track of how many times an application has been started by a user of the system and displays the most frequently used programs in the start menu. That's a pretty convenient feature for some users but there is no obvious way to control which applications are listed in the start menu. Windows loves to use virtual memory. Even if you set the value of virtual memory to zero it is still being used. It's basic use is to provide additional memory if most of the RAM of the computer is already occupied. This virtual memory is taken from the hard drive from so called paging files. Most optimization articles suggest to use between one and three times of the amount of RAM as virtual memory. Just a few days ago I posted an article about How to update Windows with Offline Updates which downloaded selected updates for various Windows operating systems and Microsoft Office directly from Windows update servers. While Windows XP and Vista offer a way to pin files to the Start Menu both operating systems do not offer a way to pin folders to it. You might have noticed that a right-click on a file on your hard drive does not give the option to pin it to the Start Menu as well, it only appears if you press the shift key while right-clicking the file. Not many users like Windows Vista. It surely looks better than Windows XP, but other than that ? Please raise your hand if you think that UAC is more annoying than helpful. Windows Vista is just not that ready for prime time and there is not really a good reason to make the switch. If you share a computer with several other users you might have noticed that it is not possible to set a differing screen resolution, refresh rate and color depth for each user. Windows XP forces each user to use the same resolution, refresh rate and color depth which is a great annoyance. I have been writing about the stealth update that Microsoft did two weeks ago. Files in Windows XP and Windows Vista were updated without the users consent silently in the background. After some users did find out about the secret update Microsoft tried to convince everyone that the update was used to update the update routine of Windows XP and Vista. 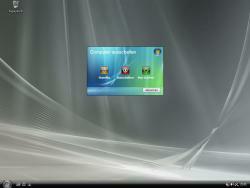 We all know that Microsoft can update Windows Vista and Windows XP at will if automatic updates are enabled. Did you know that Microsoft can also update your operating system even if you disabled automatic updates ? Most users would probably deny that this is possible but it turns out to be true. It has been a while since I posted the first part of this mini series entitled 10 Freeware Recommendations. Two months are a long time considering that I write about software almost every day here at Ghacks, that is why I decided to open my treasure trove again and present you another batch of freeware recommendations for Windows that will probably make your day.